The fictional universe created by author J.K. Rowling in 1997, and visualized by Chris Columbus (Harry Potter Series Director), Steve Kloves (Harry Potter Series Writer), David Heyman (Harry Potter Series Producer) in 2001, is a world fantasized by almost every kid born in the 1990s and 2000s. The world of Harry Potter is that of wizards and witches, who go there to learn and practice magic. None of us here is unfamiliar to the characters in the story. And we shall not deny how we get lost while watching it. We know that the plot revolves around an orphan boy Harry Potter, whose parents were killed by Dark Lord and Harry survived his attack leaving a scar on his forehead. He was living with his Aunt Petunia, when on his eleventh birthday when he is informed that he is a wizard and is sent to Hogwarts: The School of Witchcraft and Wizardry. There he meets Ron and Hermoine, who eventually end up being his best friends. Here is when the adventure starts, when they fight back ‘The Dark Lord Voldemort’ with the help of their magic. The only regret with this series is, it ends too soon. We have been introduced to such an amazing and fascinating world, that we want to be a part of it but never can. It is a dream of every Potterhead to live the Hogwarts’ life at least once and use those magic spells which would add spark to their boring lives. In short, we never want to part with the world of Harry Potter. Harry Potter magic spells have been captivating us ever since. Have you ever imagined how cool your life would be if those spells actually worked in the real world? Wherever you go whatever you need or think, just wave a wand and the situation is under your control. It is used to repair glasses in the Harry Potter world. This one is just great if you want to save your money. Glasses aren’t cheap and they tend to break easily. So, instead of spending thousands of bucks in repairing your glasses, you can just wave your wand and say “oculus reparo” and it’s done! It is used to protect against Dementors by summoning one's happiest memories. Happiness in the real world is too rare and if you achieve it then no one should steal it away from you. This spell acts as a shield against the demons. It is used to illuminate the wand as a flashlight. Days before the flashlights or cell phones existed, these could have been used as it is super handy. Even nowadays, if our flashlight’s battery says goodbye or our cell phones’ battery dies, this is a super cool way to find your way in darkness. So, you will never get lost! It is used to lift the objects. This would be so cool, isn’t it? Imagine you can make any items around you fly. If you need to rearrange your room you don’t even need to get up. Just get your wand and swoosh and flick. You need to eat something, just get the food coming flying all the way. Exciting! It is used to keep things safe. You may use it to keep your secrets safe. It is a very useful spell as it allows having secret conversations without being overheard by any eavesdropper. It fills the ears of people around you with an unidentified buzzing noise. So, when you are having a secret talk with your friend and your mum is around all you have to do is just say ‘muffliato’! It is really handy. If you forget your keys, no worry. Just say this spell and you are free to go through any doors. No locks can hinder your plans. You don’t need car keys too. You can drive any car, anytime. Does this mean anyone can enter your house? Well, you need to be alert then. It is used to fix small cut or injuries in our body. It is a first aid magic spell in the Harry Potter world. So, if you have small cuts or broken nose, no need to rush to the doctor and pay a huge sum for treatment and medicine. Just say ‘Episkey’ and this spell will have your cover. It is a stunning magic spell. This basically renders your opponent and makes him or her unconscious. So, it stops them from moving and you can escape easily. If you are in a combat with your sibling, just cast this spell and the game is yours. It is one of the three unforgivable curses. If used at your opponents, it causes instant death leaving no mark on the body. Well, it is better than it might not be real, else we are all having our lives at huge risk. It is a disarming charm. If you cast this charm, no one will be able to mess with you. This might prove very helpful in self-defense techniques especially for ladies working late at night. If anyone tries to misbehave with you, you can say ‘Expelliarmus’ and kick them! It is a spell used to erase the memory. Well, this could be funny right? Imagine your teacher scolding you for not doing your assignment and you cast this spell. They will forget everything about the home works. Imagine your partner fighting with you and you say ‘Obliviate’. Great job, the fight is over, you are friends again! 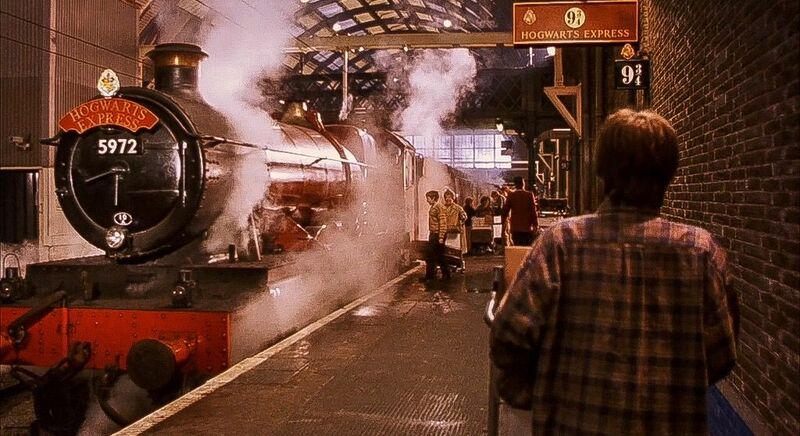 These were 11 spells from the Harry Potter movie that would make our life so amazing and adventurous. If any magic spell is missing out from the list, do comment below. A Potterhead would definitely comment one! They thought of taking a chance and missed it. Bura Na Maano Holi Hai!